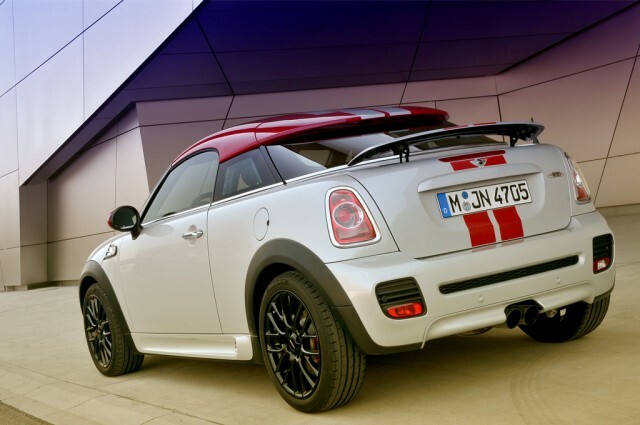 What Makes The First Gen. MINI JCW GP So Special? Those looking for a comfortable ride should look elsewhere, though. On undulating surfaces, or roads where potholes lurk, the Mini quickly feels out of sorts. The ride becomes too bumpy and crashy for comfort, and keeping it pointed in a straight line is a challenge, let alone negotiating corners with any measure of accuracy. Of course, die-hard enthusiasts will argue that the unforgiving ride suits the gung-ho character of the car, and that softies not up to the driving challenge should stick to the more forgiving (and cheaper) Roadster versions. But then, the Mini Roadster JCW was never meant to be a volume seller. This car’s virtues lie in the rather specialised combination of rapid, responsive road manners, and that wind-in-the-hair motoring experience South Africans love so much. 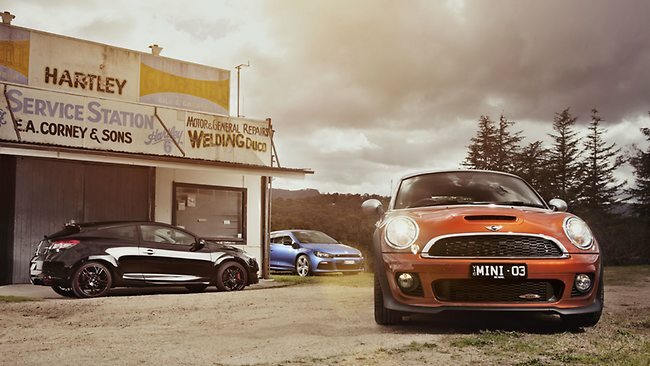 So, you need to be a bit of a hooligan – or a very committed Mini lover – to live with the Roadster JCW. More than any other Mini, this one breaks the rules. Which is exactly why, almost against my better judgement, I like it so much.
. . . to promote Mental Health Awareness. coopersml @ YouTube shows you how to check them, read them and what the wear means. The team works on Eliseo Salazar's MINI JCW WRC at Rally Argentina 2012. 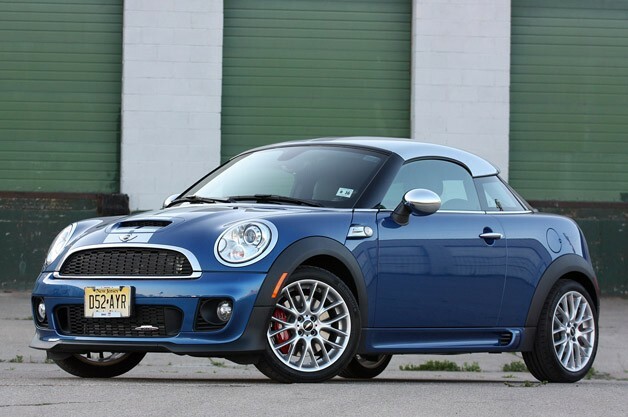 The 2012 Mini John Cooper Works Coupe simply comes up short on either value when compared to similarly configured front-drivers or performance when compared to similarly priced sports cars. And it's not just undercut by competitors priced above and below it, but also by the hatchback parked next to it in the showroom. 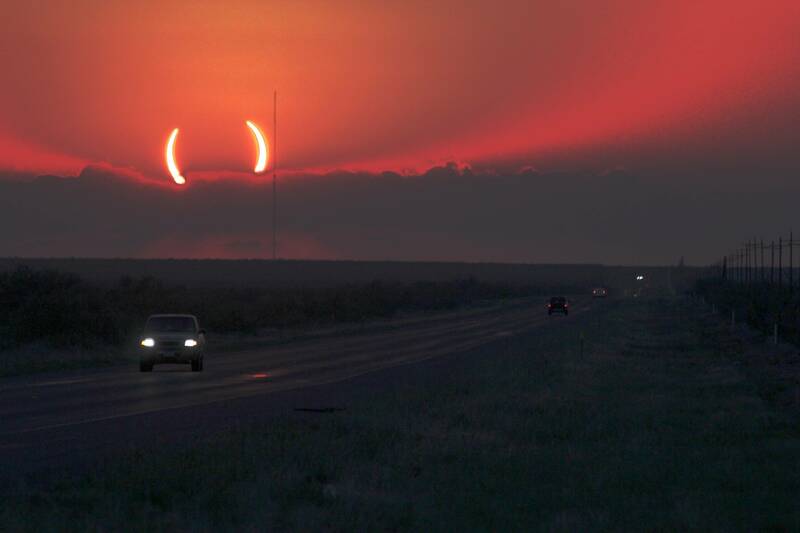 As much as we grinned behind the wheel when the planets aligned for us on a perfect road, we just can't find the justification for a Mini made this way. MINI Motorsport congratulates Vaclav Pech on his third place finish at Rally Cerky Krumlov in the Czech Republic during Memorial Day Weekend 2012. According to MotoringFile the JCW Engine Kit and Suspension will not be coming to the R60 Countryman due to low projected sales. The decision came after a review for the assignment that began in January. At one point, the review involved 10 agencies; it was narrowed to six, and then four, before the final decision. 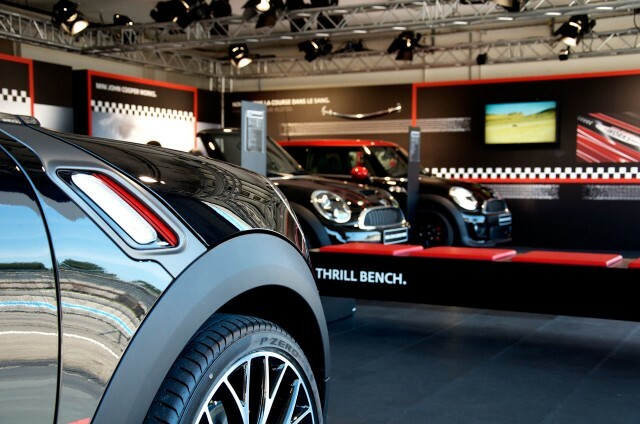 Annual ad spending by Mini USA is estimated at $20 million to $30 million. 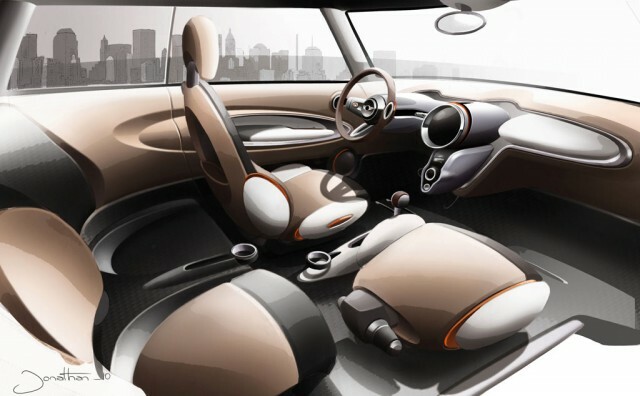 MINI will shorten the front doors and add two small, conventionally opening doors behind them. This will be much like the Countryman’s layout, but in a smaller package. Those rear doors will be on the small side, but still more usable then you might expect. Sources are telling us that the rear doors will extend from the trailing edge of the front doors all the way into the rear wheel arches and up to the gas cap on the right side of the car. The F55 will have four sets of standard door handles opening everything up. In a bad mood or a funk? Simply get into this car and give it a workout. All your cares and worries will disappear. Six hundred horsepower in a two-ton muscle car is a fleeting amusement, something to experience and brag about but seldom use. Two hundred and eight horses in a lightweight and sport-enhanced hatchback is an all-day guiltless pleasure. MINI will be the official vehicle sponsor of the 2012 Put Foot Rally crew, Shake & Bake. The Put Foot Rally is a 17 day journey through Namibia, Zambia, Zimbabwe, Malawi and Mozambique. Teams are responsible for their own vehicles and route. MINI has committed a brand-new MINI Cooper S ALL4 Countryman to the team from Durban, South Africa. The Rally also raises funds. this time for The Put Foot Foundation initiative 'Shoe Drops', where underprivileged school children at pre-identified schools along the route will be given school shoes. The rally starts June 20, 2012, and finishes in Mozambique on July 16, 2012. The bronze and copper dash components, as well as the upholstery are still being prepared, leaving this project in JPG form for the time being. Carlex says that there are no words that can translate this project into spoken language, and we agree that it’s just something we’ll have to wait and see for ourselves. MINI will produce a Rauno Aaltonen special edition package for the Cooper and Cooper S hard-tops for customers in European countries. It is an appearance only package and unique 17-inch “Infinite Stream Spoke” wheels. Buy the S version and MINI will include a one-day ice driving lesson at the rally school owned by Rauno Aaltonen and his son, Tino. 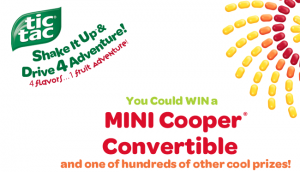 Tic Tac is holding a contest called "Shake It Up & Drive 4 Adventure!" One of the prizes is a new MINI Cooper Convertible. The roof combines natural and artificial elements. An organic hill is suspended in an abstract architectural grid. 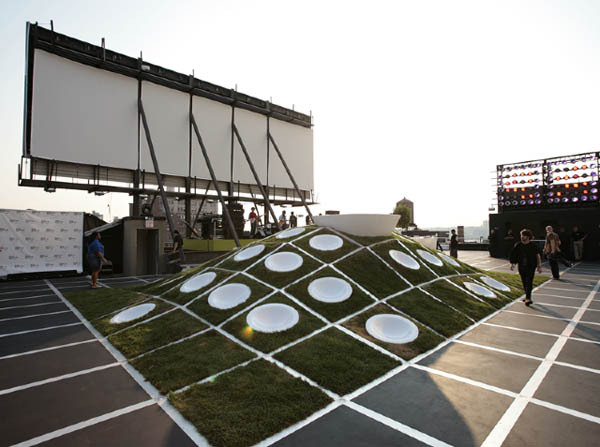 The design is a collection of elements that punctuate the ubiquitous grid: a grassy lounging hill with seating dimples and performance stage, a speakers’ platform embedded in a large scale existing billboard, a lighting tower to cast light on the space and to act as a visual icon on the skyline, and a panorama bar overlooking the Hudson River. The floor is animated with a LED carpet that turns the surface into a programmable horizontal billboard. At an architectural scale, objects like the bar, hill, platform, and light tower float within the grid pattern of the light carpet. Nice Eye Candy But What Is She Saying? 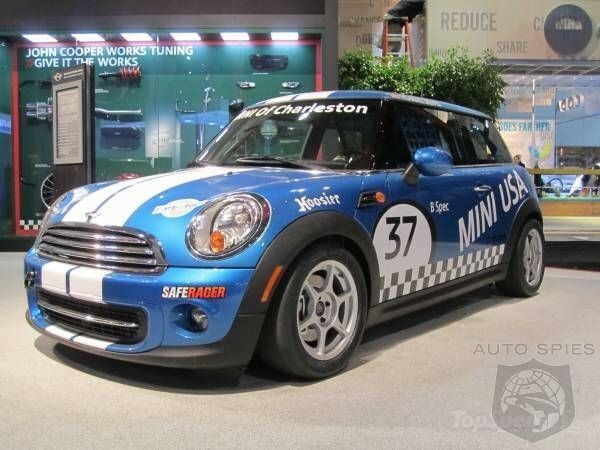 The MINI Cooper, like Tastykake Mini Donuts, don't have a shelf life! Qatar Rally Team driver Abdulaziz Al-Kuwari finished Rally Greece in 10th place in his MINI JCW WRC - the only MINI to place in the top 10. The next WRC rally will be June 22-24, 2012 at Rally New Zealand where MINI WRC drivers Armindo Araujo (11th) and Paulo Nobre (17th) experienced difficult track conditions and had car problems. NORCAL MINIS hopes all of us can take a moment this three day weekend to remember those who gave their all in defense of the USA. Skeptical? So are we. Check out http://www.gocleanwaterless.com. . . .is free speech in Florida protected under the First Amendment according to a Florida judge in a lawsuit brought by Ryan Kintner against the Seminole County Sheriff’s Office, which ticketed him for flashing his headlights to warn neighbors that a deputy had set up a speed trap nearby. Circuit Judge Alan Dickey ruled that the officer misapplied a law intended to ban motorists from flashing aftermarket emergency lights, and that the act of using lights to communicate is protected by the Constitution. Kitner isn’t ready to move on from the issue just yet, however. 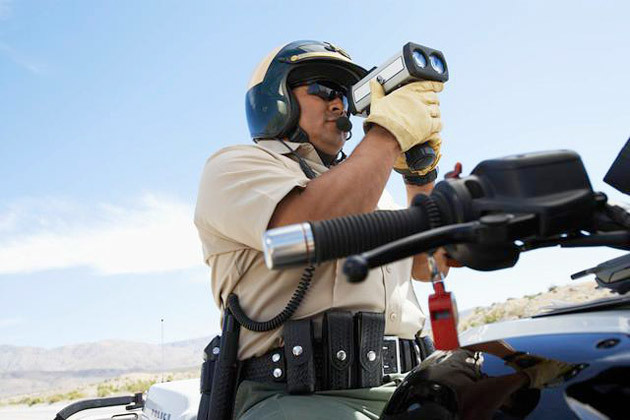 He also has a pending class action lawsuit against the Florida Highway Patrol for violating a 2005 court order that bars police from ticketing motorists for flashing their lights. Additionally, despite winning the civil case against the Seminole County Sheriff’s Office, Kitner is still fighting in court to have the ticket itself dismissed. Quick, turn up the AC/DC! The Mini cooper s JCW is an almost perfect car. The power is good, the handling and steering are one of the best. Trying to improve this car can result in making it worse. The guys at Arden gave it a try and came up with this 250 bhp version, which has a big diffuser, a loud exhaust and the best looking rims ever fitted to a Mini! You know exactly what you are getting with a Mini; a very attractive, premium hatch that is fun to drive. It's expensive and not especially practical, but if you’re in the position to afford one, you’ll enjoy it a great deal. Fiat’s 500 is cuter but smaller and not quite as much fun, and Citroen’s DS3 is more practical, almost as much fun to drive and slightly better value. The Cooper S is a genuine small hot hatch but consider the Cooper SD for a thriftier and cleaner alternative way into the Mini club. This Memorial Day Weekend make your way down to East Bay MINI at 4340 Rosewood Dr, Pleasanton, CA and get behind the wheel of a Hatchback, Countryman, Clubman, Coupe or Roadster for a test drive. 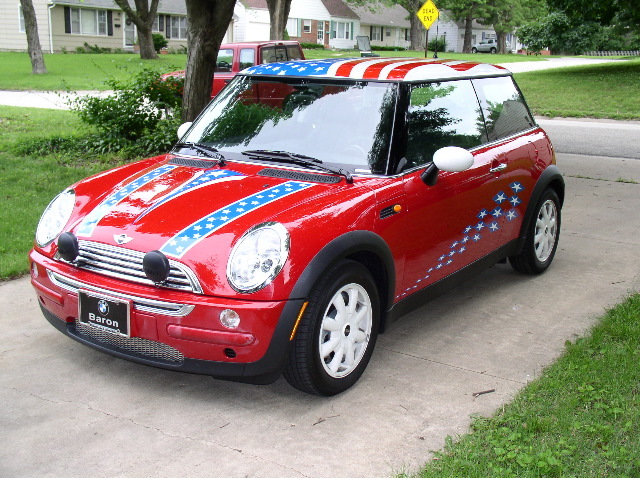 If you do for each test drive East Bay MINI says it will donate $50 to the Wounded Warrior Project to our veterans. Have Somewhere To Go? Don't Get Up. Take The Chair. IRC Media, via Rallye-Info.com, provides a complete review and breakdown of Dani Sordo's win at the on Giru di Corsica-Tour de Corse, round four of the Intercontinental Rally Challenge, with a "faultless performance in a MINI John Cooper Works S2000 on his debut in the all-action series." 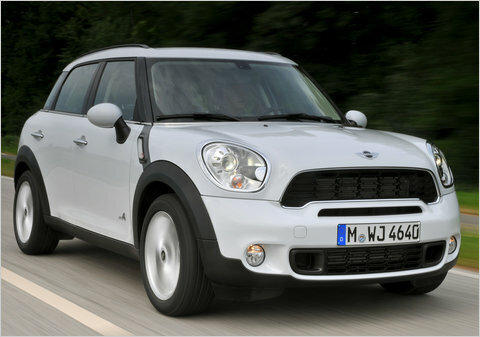 What is the general opinion of the Mini Countryman? I am looking for a new car. Well, I call it the "big MINI" because it stunned me the first time I saw one in traffic. It was almost as big as my minivan, and the MINI emblem on the rear hatch was bigger than the license plate. As you consider it, keep in mind that this car is designed and built by BMW and will have BMW-like repair, maintenance, and operating costs. Premium unleaded fuel is required, European spec synthetic oil is required (that stuff is usually $8-9 per quart, and an oil change can run nearly a hundred bucks, and I would NOT push it to the suggested 15k mile oil change interval since we have had MINI owners on this site complaining of sludged and/or seized engines), repair parts are going to be expensive. Many people seem to think the MINI is an economy car, but it is not. It is a novelty car. They are more expensive than most cars to keep and maintain. If you are fine with these caveats, go for it. From what I have heard, they are fun cars, but so is anything else built by BMW. When it comes to the Mini Cooper Coupe, less is more - more fun, more style and more fuel efficiency. A study of traffic violations, collisions and insurance statistics of U.S. men and women by 4AutoInsuranceQuote.com found women were much better drivers. About 80 percent of all fatal and serious U.S. car crashes were caused by male drivers. Women were 27 percent less likely than men to cause crashes, while men had higher traffic violations in almost every single category -- reckless driving, failure to yield, seat belt violations and speeding. Male violators outnumbered females 3-to-1 in offenses for driving under the influence and driving while intoxicated. Let's Go To The Drags!!!! 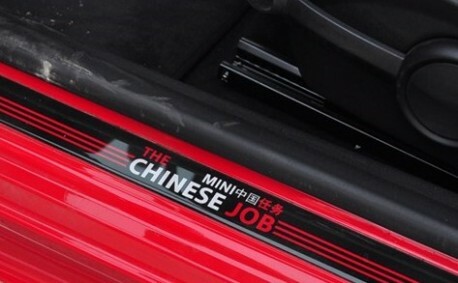 CarNewsChina.com reports MINI has launched a special unlimited edition in China named the "Chinese Job" available as a S hatchback and Clubman. To launch the vehicle MINI held a party and broke a world record for drifting a MINI into a small parking place between two other MINIs. The Chinese Job is only available in pepper-red and midnight-black. It comes with special alloys, some extra spoilers, a black-red interior, some options standard, and Chinese Job-badges on the window, dash and door-sill. 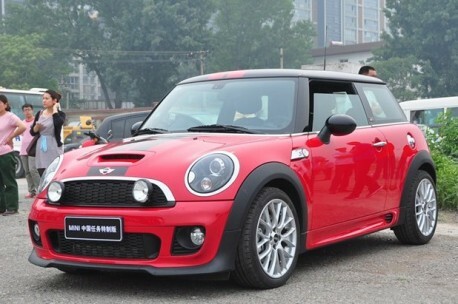 The article claims MINI also said the Chinese Job is the first of many China-only special editions. Does Win On Sunday, Sell On Monday? Autospies.com examines whether that strategy still provides success for car manufacturers and refers to the "Big racing fun comes in small-car packages" article at The Bottom Line on msnbc.com. autoevolution has a fine galllery of spy photos of a camo'd 2014 MINI Cooper S testing at the 'Ring. All we can say are the immortal words of Tom Petty - "Don't Do Me Like That." Mininut:What’s the interior build quality like? How well is road noise suppressed? The interior quality is great. With more than 20,000 miles on the odometer, our Mini’s interior is still holding up well, with nothing faded or (to my knowledge) broken, and everything still looking fresh. Road noise is well suppressed but as I mentioned in a previous post, the all-season run flat tires do get noisy over rough roads. Paul: After spending some time in the car, do you feel like you got used to the quirky interior, or did it annoy you? Can’t say I was ever annoyed by the Mini’s quirky interior. I’ve always been a big fan of quirk in cars and I appreciate that Mini tries to stand out from the crowd with its interiors. After your experience, would you consider buying a Countryman? Who is this car for/not for? Is there a good reason to pay the extra $8K or so to get it instead of the [Nissan] Juke? That’s tough; while I’m definitely in Mini’s target demographic, I don’t know if the Countryman’s for me. It’s a bit too cute and too ‘nice’ for me, I prefer a ride that’s sportier, meaner, and a bit rougher around the edges. I’m a big fan of the Nissan Juke but I can still think of a few reasons why I’d fork over the extra cash for the Countryman: the manual transmission/all-wheel-drive combo, better interior quality, and more cargo space being among them.
. . . and Vinyl Styles would probably play much better music! Richmond Hill, ON. MINI Canada announced today that it will support MINI motorsports competitors across the country through all-new contingency programs. Canadian racers racing a MINI in the Canadian Touring Car Championship (CTCC), including the all-new B-Spec class, and MINI entrants in the 2012 Targa Newfoundland will have the opportunity to win cash prizes. For the Canadian Touring Car Championship, MINI Canada will pay contingency awards for 1st, 2nd and 3rd in each points-paying race in the Championship. Additionally, MINI Canada will reward championship-winning drivers in the Touring and B-Spec classes during the 2012 CTCC season. 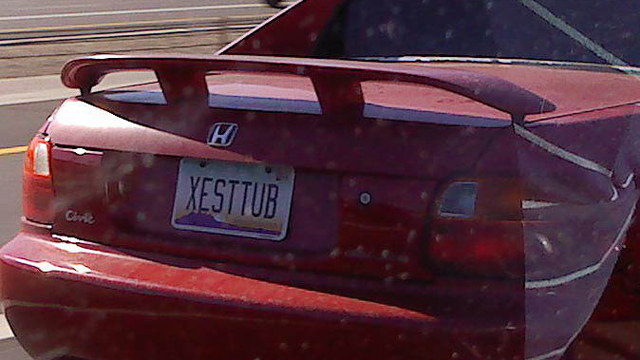 You Paid Extra For That Personalized License Plate? Don't think that'll help you pick up girls if you follow them home, do you? Edmonton Journal Calls MCS Coupé "Practically Practical"
For all the griping and groaning I’ve heard over the impracticality of any two-seater car, it seems the Mini Cooper S Coupe is one of the more practical options out there. Whether you’re single, or possibly a young couple without any little ones on the way, this car is perfectly capable of handling your average commuter’s needs, as long as you’re not part of the office carpool. By White Roof Radio, via MotoringFile, from MINI United. 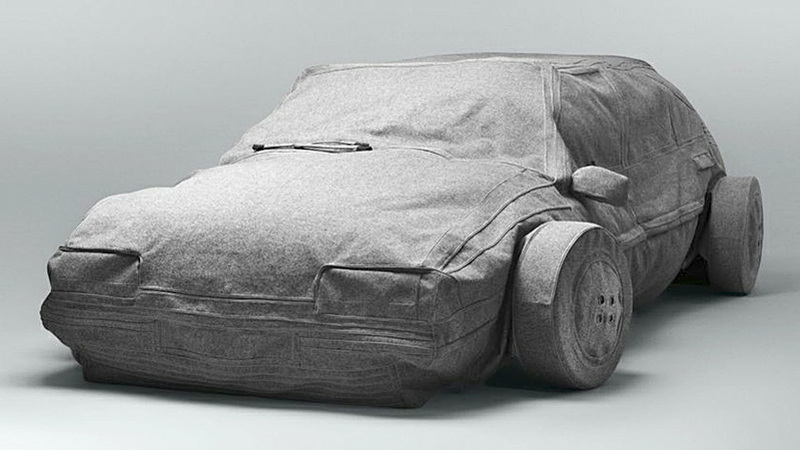 This couch is at a full stop so you can actually kick back on the hood! You Don't Know Samara Tugwell? She is an Australian model caught here and, then posted by The West Australian on Australian Yahoo!, with her MINI. According to the MINI Motorsport, Partl Motorsport placed 41st and was the only one of the MINI teams at Nürburgring 24 Hours to complete the race.
. . . the biggest AIDS charity event in Europe, and one of the most extravagant in the world. 2012 marks Life Ball's 20-year jubilee, and father-of-the-ball Gery Keszler made sure it will remain emblazoned in the memories of all that attended. A one-off MINI Roadster was designed by Franca Sozzani of VOGUE Italy in support of the Ball, which was auctioned off for charity during the evening of the big show. This is the 12th unique MINI to be made for the annual celebration. In addition to the revised 1.6 liter engine in a 2013 JCWs you can order an optional six-speed automatic gearbox that features a paddle shifter manual mode. It's Now Known As The "John Cooper Works Family"
". . . will now be equipped with innovations that are designed to provide driving fun combined with fuel economy. The latter will be achieved thank to a new-generation engine and other far-reaching powertrain innovations. In particular, although the twin-scroll turbo engine develops the same levels of output and torque as its predecessor, it will now deliver quicker responses and lower fuel consumption and emissions. This and other technologies will help to enhance the efficiency of the John Cooper Works models. In addition to that all of the models can be optionally mated to a six-speed automatic gearbox. Furthermore, the MINI John Cooper Works Countryman will now be equipped with the MINI ALL4 all-wheel-drive system as standard." The Herald Sun of Australia pitted the Renault Sport Megane RS 250 against the VW Scirocco and MINI Cooper S Coupe JCW. The Coupe came in second losing to the Scirocco. John Dawson for Bloomberg Businessweek compares his first car, a classic Mini, to a new MINI Cooper S Coupe. Fidista Films Presents "MINI COOPER S"
Much as the big-time baller who's lost a step, the Countryman's a couple of ticks slower than its other S-badged stablemates, but it still blasts out of the gate quickly and hits the on-ramp gaps. Roll hard into a corner and you will notice its heft and a fair amount of body roll, but you feel in control of the car and there's predictably less understeer than in other Minis. You're not going to be able to toss it around as much on an autocross as its small-fry Cooper kin, but you wouldn't embarrass yourself either. There is room in any lineup for a bigger, more experienced star who can handle still their business and deliver when called upon, and the Countryman is it for Mini. It's the designated hitter for Mini fans looking for that big bopper option. MINI Coupe No.2 On Winding Road's "Involvement Index"
Mini Cooper S Coupe: Involvement Score 78, Starting Price $25,300. So good we ended up booking a year-long loan in one. The Cooper S Coupe is the ultimate sub-$30,000 performer for the Mini brand, and goes toe-to-toe on our Index with Mercedes-Benz CLS63 AMG and V-6-powered Porsche Panamera. It’s go-kart-like driving dynamics and zippy turbo make this two-seater an affordable Involvement alternative. Short of the GP, the Coupe is the most performance-oriented model in the MINI lineup. 'Greece feels like my second home, because I worked on the Greek Rally Championship for six years – from 2004 to 2009 – for our sister team Ralliart Italia managing Greek driver Aris Vovos. We used to do eight to 10 rallies per year in Greece so I got to know the country quite well. It's an amazing place - great weather, great food, nice beaches and a fantastic history. 'There are two places in Greece I like most. One is Porto Carras in the north of Greece – where the ELPA Rally used to be – there's a casino, it's on the sea and there's a fantastic golf course where I used to play golf with my driver. The other place I really like is Olympia, it's unbelievable that that very place is where the Olympic Games were held for the first time - thousands of years ago – and where the Olympic torch is still lit before each modern games. It's incredible being so close to a part of history. I have good memories from that place, I went there in 2002 for my first rally in Greece and have competed there about 10 times since. That's exactly where this photo was taken during my first time competing on a rally in Greece. Quite incredibly, you can see my friend and WRC Team MINI Portugal mechanic Roby also working on the car in photo – which just shows how far back some of the relationships in the team stretch! 'After working in Greece for four years, in late 2007 Armindo joined us to compete in the PWRC. 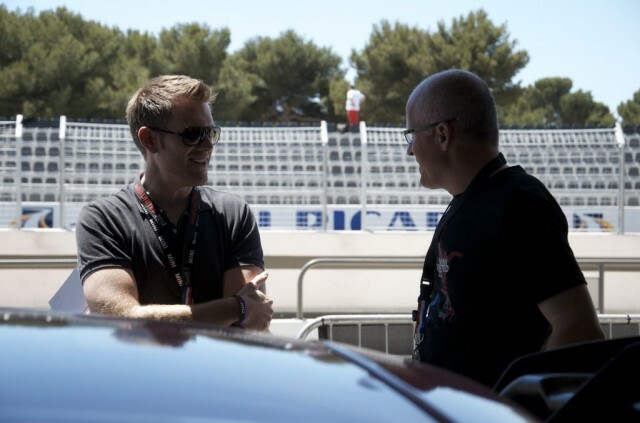 I did one more season in the Greek Championship and then my focus turned solely to the WRC. With Ralliart Italia first and since last year also with Motorsport Italia and the MINIs. It gets really busy at times but I love the sport and I really enjoy traveling around the world doing my job! 'I’ve just arrived in Greece, along with some of my team where it’s quite unusually pouring with rain! We collected some MINIs to use during our stay from the local MINI dealer in Athens and then travelled to Loutraki where the rally is based. Today we will start to prepare the service park, then tomorrow we begin preparations for the Acropolis Rally with a pre-event test with both our drivers. 'I'll keep you up-to-date with WRC Team MINI Portugal’s adventures throughout the rally. The Roadster - "MINI Unzipped"
For buyers who can tolerate the limited cargo and passenger space available in the 2012 Mini Cooper Clubman wagon, this diminutive vehicle provides outstanding fuel economy and fun behind the wheel at an affordable price. Oh No! What Happened Here? Now, on to the outtakes - Action! We have no doubt that the Mini Cooper Coupe, in all its engine configurations, will develop its own cult following, as has been the case with every other Mini variant since 2001. It is, after all, undeniably a Mini: great fun to drive, and with a larger presence than its diminutive stature would suggest. But like a pair of fingerless gloves or pre-distressed jeans, the coupe is a constant reminder that its previous functionality that has been, unfortunately, diminished for the sake of fashion. 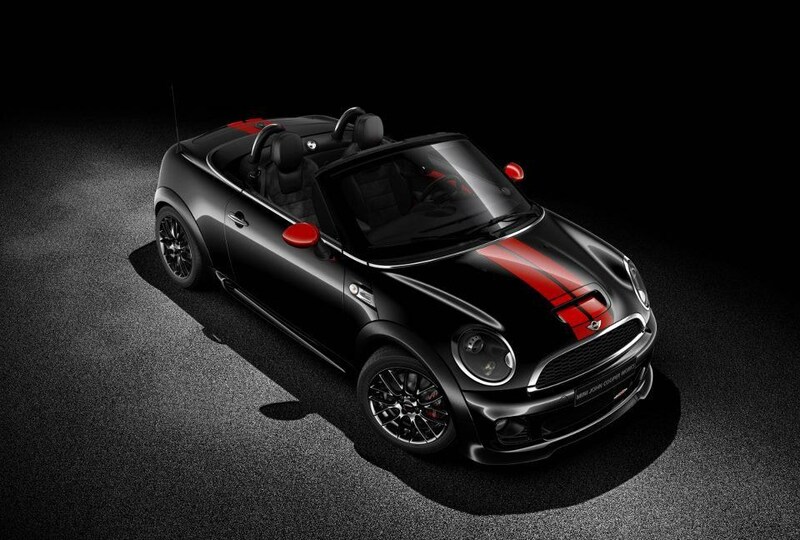 The 2012 Mini Cooper John Cooper Works Roadster is a funmobile that can also serve as a long-distance runner or daily commuter. But you keep in mind that the fun comes before the practicality, so you are limited to one passenger and not much cargo. Roadster, MINI's Newest "Flavour Is Delicious"
I Drove A MG And Now I Drive A MINI, So . . . .